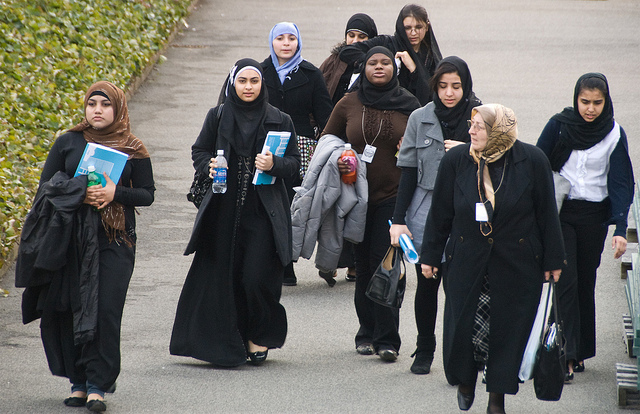 UNITED NATIONS, Mar 6 2014 (IPS) - In much of the Arab world, women’s participation in the labour force is the lowest in the world, according to the United Nations, while women in politics are a rare breed both in the Middle East and North Africa. Perhaps one of the few exceptions is Algeria, says Lakshmi Puri, deputy executive director of U.N. Women. 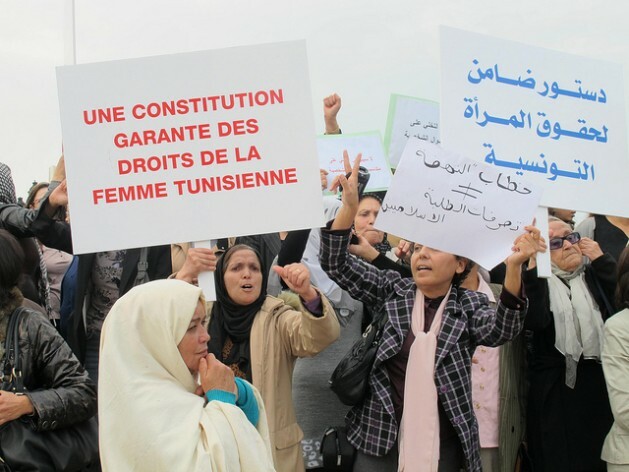 The North African nation has reached the critical mass of some 30 percent of women parliamentarians, while Saudi Arabia has broken new ground by welcoming women to the Shura council. Still, with a regional average of female parliamentarians just above 12 percent, the Arab world remains far behind the already low global average of 20 percent, according to U.N figures. She said there is no doubt that entrenched gender stereotypes and social norms that condone discrimination against women play a negative role, but other factors also need to be taken into account. These include, for example, access to and quality of education, opportunities to reconcile professional or political life with family responsibilities, the overall structure of the labour market, and prevalence of violence against women. When representatives of women’s organisations meet in New York next week, one of the many issues before the U.N. Commission on the Status of Women (CSW) will be the low level of women’s participation in the labour force and in political and social life worldwide. The CSW, scheduled to hold its annual sessions Mar. 10-21, is the primary inter-governmental policy-making body on gender equality and advancement of women. This year’s session will focus on challenges and achievements in the implementation of the U.N.’s Millennium Development Goals (MDGs), specifically for women and girls. Let’s not forget that Egypt had a feminist movement in the 19th century, she added. These, she pointed out, include family codes and parallel traditional legal and justice systems that deny women property and inheritance rights, access to productive resources, sanction polygamy and early and child marriages, and put women at a disadvantage in marriage and divorce. At the same time, it is essential to tackle negative misinterpretations of religion or culture that not only condone but perpetuate myths about inherent inequality between men and women and justify gender-based discrimination. “As we at UN Women have pointed out, along with many faith-based and other organisations, equality between women and men was propounded centuries ago in the Arab region,” Puri said. At the same time, governments along with all stakeholders, including civil society, need to put in place an enabling environment in order to increase women’s participation in all spheres of life, said Puri. Anderlini told IPS that in the Arab world – like any other part of the world – there are always different cultural forces at play simultaneously: conservative and progressive. But in the Arab world, the conservative forces are seeking to erase or discredit the gains made in the past. “They like to associate ‘women’s rights’ with immorality and westernisation. It is a clear political agenda that is being fomented and we must not fall for the notion that it is ‘cultural’ or religious’,” said Anderlini, who was appointed last year to the Working Group on Gender and Inclusion of the Sustainable Development Network for the U.N.’s post-2015 economic agenda. She also said Islam calls for equal rights to education for women and men – to equal pay, to women’s rights to inheritance and participation in public life. “What’s being spread are extreme interpretations of Islam that may be rooted in countries like Saudi Arabia but are newer to Egypt, Tunisia or Lebanon,” she warned. First, a reform of state constitutions and laws as well as of traditional legal and justice systems and the creation of a conducive policy environment based on international women’s rights norms and instruments, such as the Convention to Eliminate All Forms of Discrimination Against Women (CEDAW) and the 1995 Beijing Platform for Action, needs to be in place. It must include temporary special measures, such as quotas in all public institutions. Education, training and skills building is also essential. In the workplace, reconciling family responsibilities with professional life must be addressed, as women still undertake most of the domestic and care work, said Puri. This must include effective maternity leave practices and provisions, affordable and accessible childcare and other caregiving structures, as well as incentives for men and boys to play a greater role in undertaking domestic work, such as compulsory paternity leave, she noted. The policy environment also must focus on preventing violence against women at home, harassment at the workplace and in public spaces, so that women and girls do not fear any repercussions for partaking in public life. Secondly, she said, there has to be bottom-up change. “This means changing entrenched patriarchal mindsets and shift from attitudes and beliefs that focus on women’s reproductive role to women’s productive and public roles,” stressed Puri. We only hear talk about what is lacking in Arab societies … no-one seems to respect the rights of Arab women to work in a place that is the most fundamental to society … the home. I object to the title of this article. What if women don’t want a ‘western’ life style, ie working for someone else in some else’s office .. and wish to maintain their identities by doing what is their god-given right… be a mother and work within the home providing for their families? We forget the hidden rights of Arab women within their cultural and ideological milieu – and call it ‘under-developed’ or failing to fullfil a woman’s potential … by whose yardstick? We also lump Arab societies into one basket; this is wrong; they are as different as the states of the Union of America, or the countries of Europe. Time to put things into perspective; time to slow down the development train that is ripping the cultural heart out of the Arab world; time to stop identifying problems according to political/economic agendas; time to realise these problems are inherent in all societies across the globe; time to respect cultural differences and what is being done at the grassroots levels throughout the Arab world … and time to stop violence against all women worldwide. We don’t have to impose change. It needs to be allowed to evolve. We can only do this when the wars stop as violence only breeds violence and women pay the ultimate price wherever they live. And what if women do?